Beautiful, comfortable apartment block. 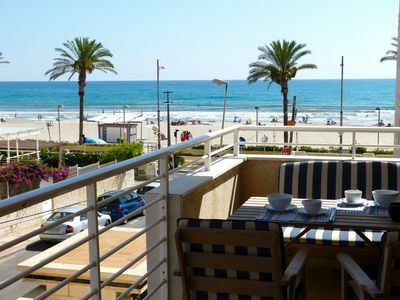 In the resort El Campello, on the outskirts San Juan de Alicante, in a sunny position, road to cross, direct access to the beach. For shared use: swimming pool (01.06.-30.09.). Unconventional pool shape. Children's pool. Golf course (18 hole) 4 km. Nearby attractions: Alicante 12 km, El Campello 5 km, Alicante Golf 4 km. Groups of teenagers on request only. Please note: airfield 25 km from the property.